Jorgensen cork handle with metal reel seat. Jorgensen cork handle grip with brass or copper trim. 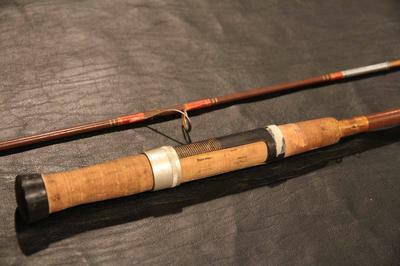 I'm wondering if you have any information on what I think is a Jorgensen fly fishing pole. It's made by Jorgensen. On the side of the pole, it says "Finest Quality Tubular Glass". It's about 6 feet in length. 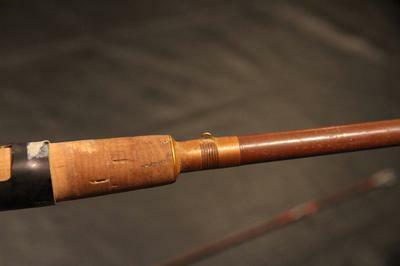 Bottom handle is cork, and bottom tip is plastic, so it doesn't appear to be a vintage fishing rod? The metal piece above the cork may be brass or copper as a magnet does not stick to it. 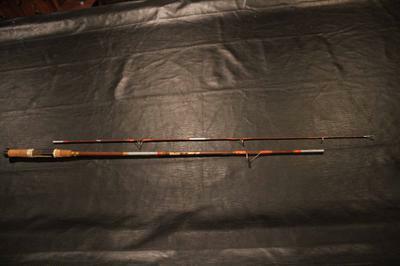 What is the best way to ship a fishing pole? Rod value and shipping suggestions. One of the simplest and cheapest ways to ship a fishing rod is to first wrap it in a couple layers of bubble wrap. Tape up the seems so it doesn't happen to unravel. Then place it in a shipping tube like these mailing tubes and mail it off. If you plan to stow it away, or transport it around yourself, you may consider using a protective fishing rod case, or even a heavy duty hard cover bazooka tube rod case. 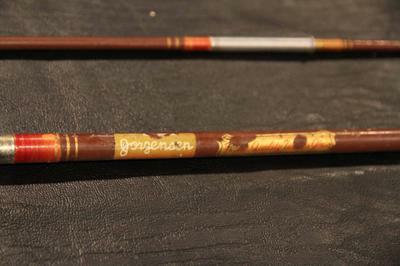 I'm afraid that I can't be of much help for determining the value of your Jorgensen fishing rod. Hopefully somebody else will chime in to give you an estimate for it's worth. Or you may want to take it to an antique dealer, or a fishing tackle expert, and see about getting it appraised... I recommend getting at least 3 separate appraisals before coming to a conclusion on it's value.